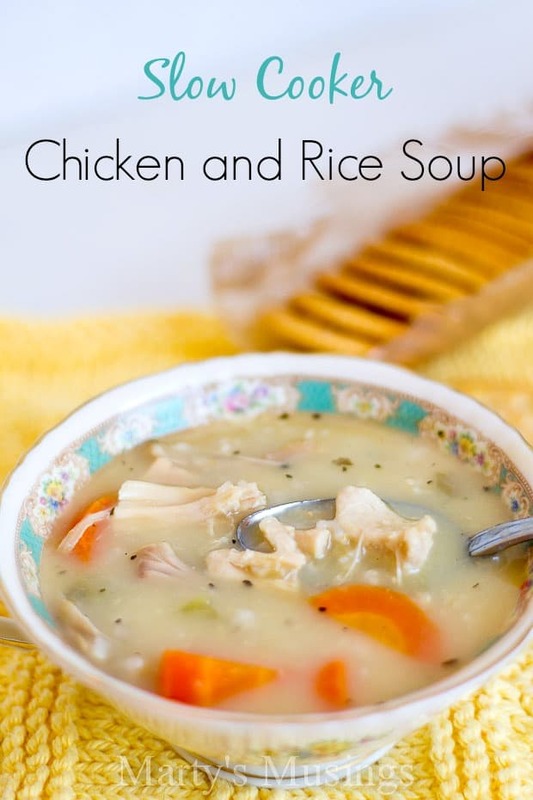 To me, slow cooker chicken and rice soup represents home. Taking care of my family when they’re sick. Celebrating the fun of a snow day with delicious smells wafting from the slow cooker. Because you know working out in the snow is hard work. so his kids could have the biggest fort in the neighborhood. The least I could do was spend a little bit of time chopping and dicing. You know. Slaving over a hot stove slow cooker for at least 3 hours. Serving up a hot meal with a smile for my teenage children to remember when they’re far away. When I’ll be missing them as much as I do their older siblings. 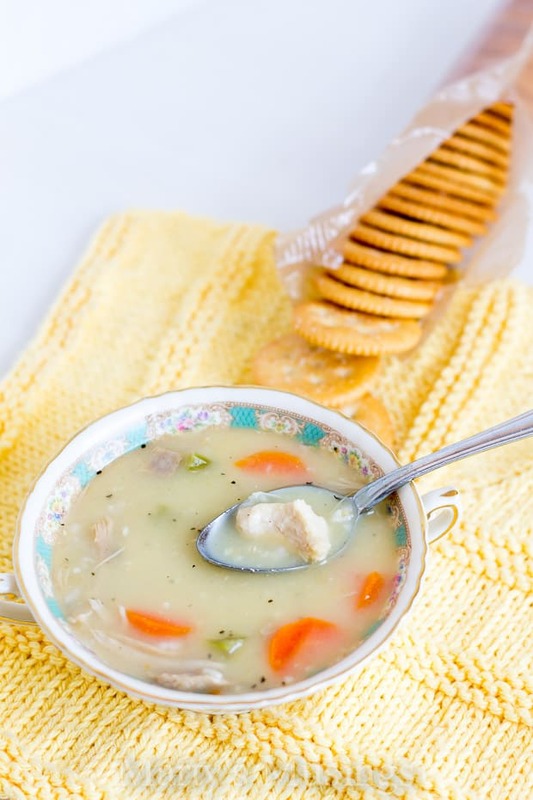 Enjoy the soup and embrace the fun of these childhood moments! 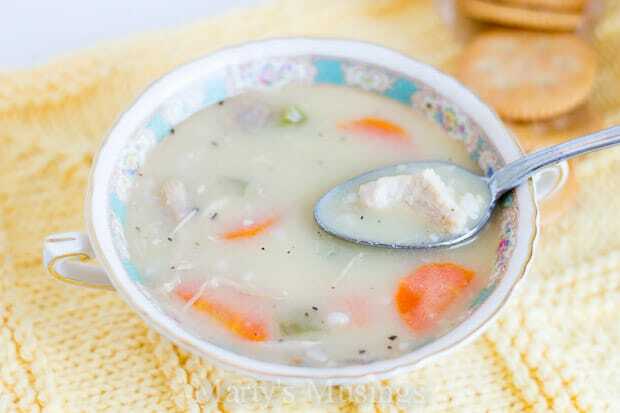 This easy slow cooker soup features pre-cooked chicken, brown rice and vegetables. In slow cooker, combine all ingredients and stir with a whisk. Cover and cook on low for 6 hours (or until vegetables are done) or high for 3 hours. You can use only one can of condensed soup if you want a thinner soup base. Add whatever vegetables you prefer or leave out the ones you don't like! I made the chicken broth with chicken cubes and hot water. 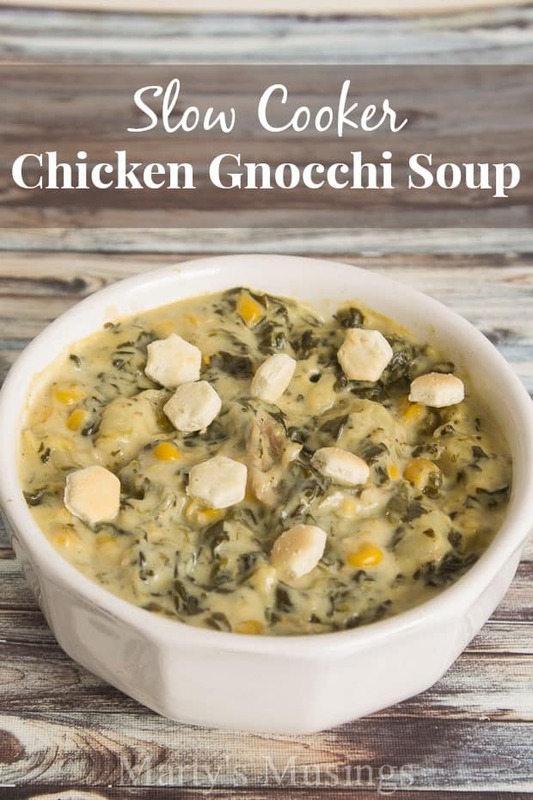 Not in the mood for chicken and rice soup? 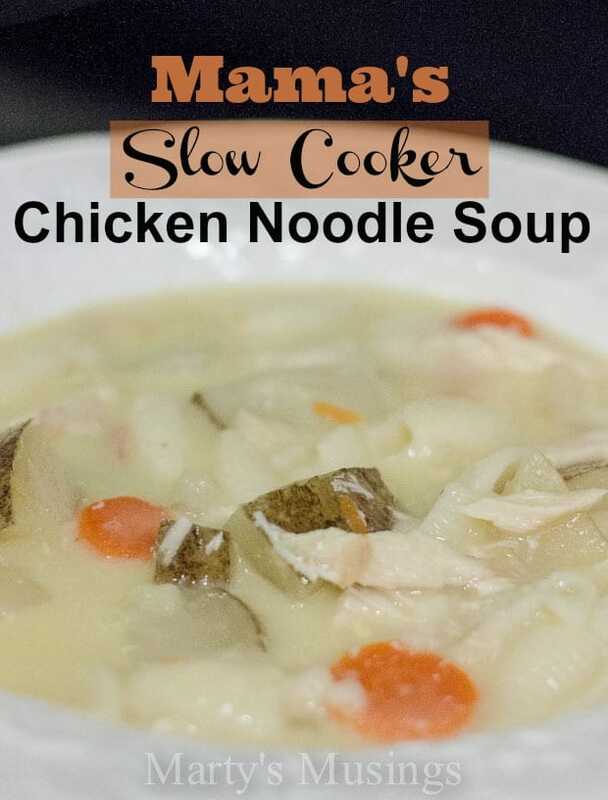 How about Mama’s Slow Cooker Chicken Noodle Soup? Oh Marty these soups look yummy. 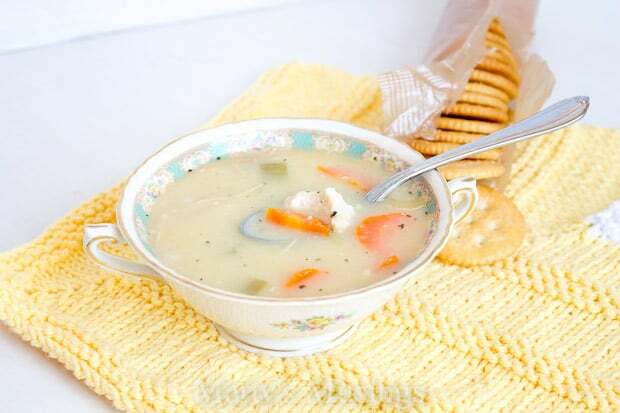 This year we have had a harsh winter and hearty homemade soups have been my favorite go to. Marty that soup looks delicious! 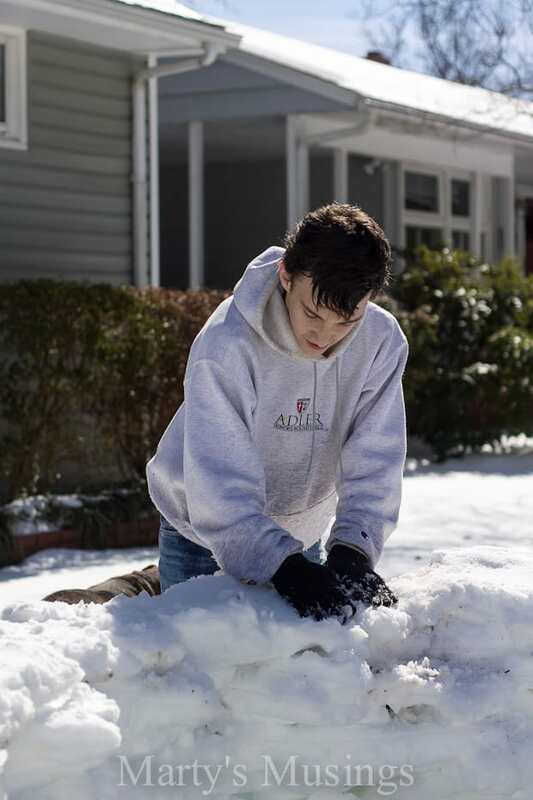 Oh my goodness at the snow…..what fun we would have if we had that much snow in Texas! Thanks for sharing your recipe. Charlotte, I believe you’ve had some ice and mess this year haven’t you? Certainly not as much fun as this now, though! 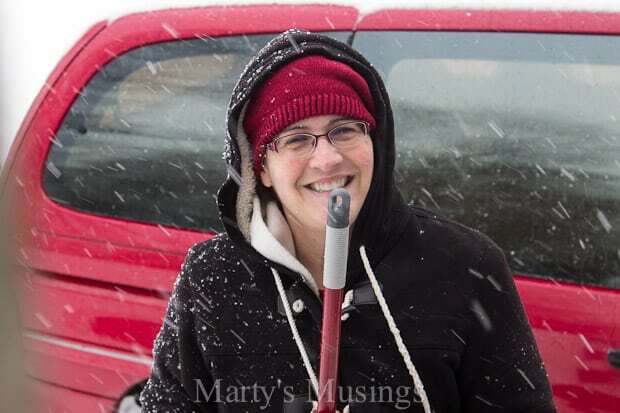 I much prefer snow to ice, but I just like being holed up inside when it’s bad weather! Is the rice in this recipe precooked? No, Kelley. You don’t cook the rice ahead of time. Enjoy! 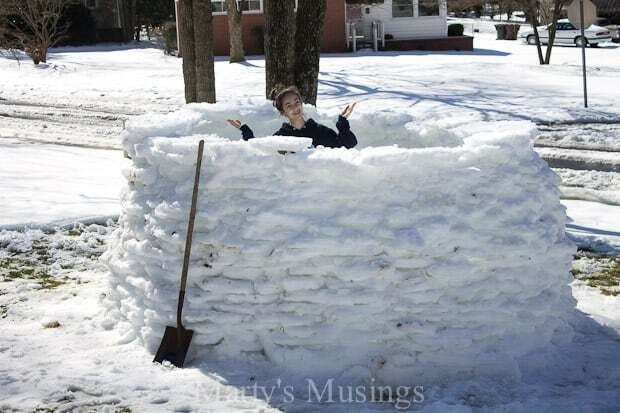 That is by far the most impressive homemade igloo I’ve ever seen! Now I’m really craving some of that soup. Yum! Hey, Kelly! I will pass on your compliment to my family! 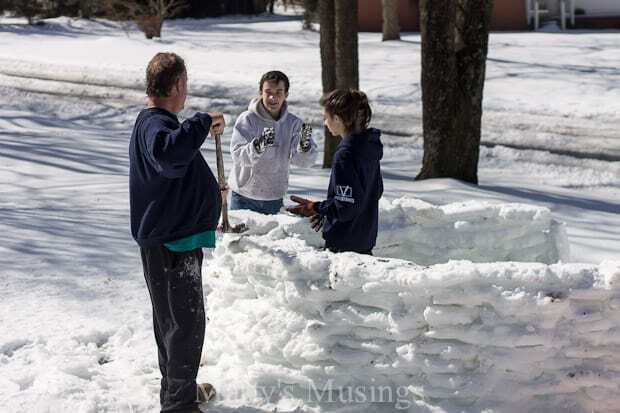 Building the sand castle and snow fort are daddy’s two important jobs. We haven’t had a good snow in quite a while so the kids were due! I’m the family photographer so I take pics of all the fun and keep everybody fed and happy! Can’t wait to try your soup. 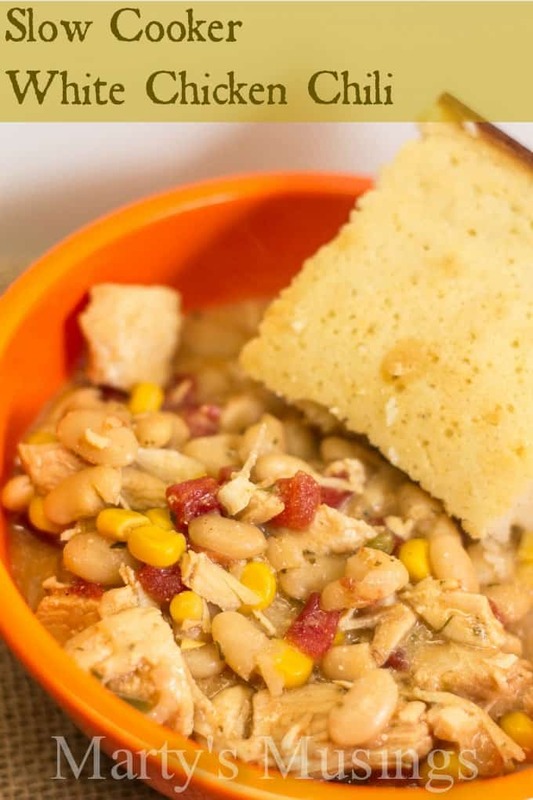 Slow cooker recipe- right up my alley. 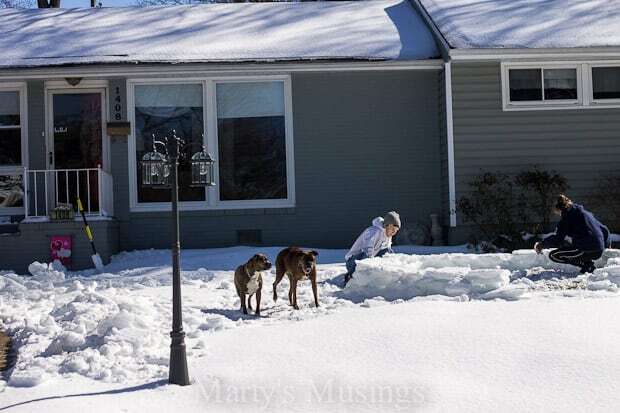 Yes, we usually have the snow that hangs around for days while everyone else’s melts. This time, not so much. That was fastest melt I think I’ve ever seen! And yes, I look like a slouch because NO ONE ever takes my picture outside! 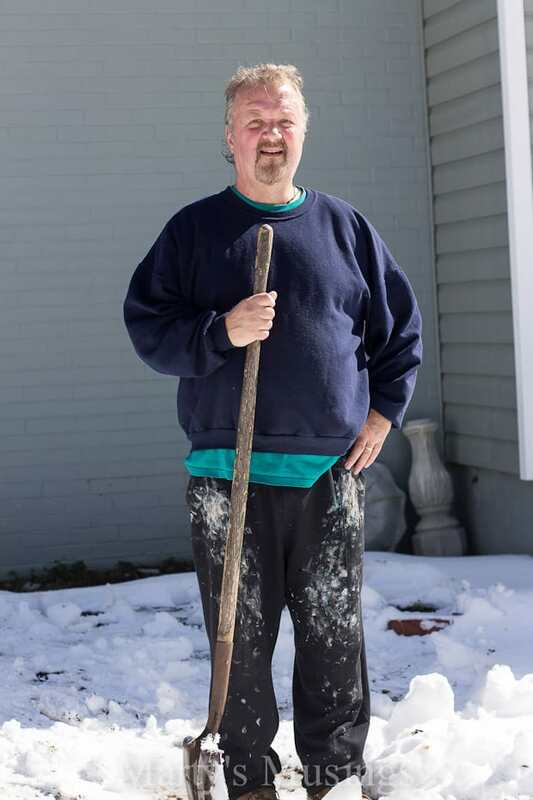 I usually help at least a little bit and this year my contribution was kicking the snow and ice off the front steps because it was too far in the backyard to get the shovel! Thanks for sharing your recipe! I just found 2 huge bags of organic brown rice on clearance, and I really want to make soup. This is perfect! Thanks, Wendy! I love slow cooker recipes! Enjoy! This looks perfect! Can I substitute white rice? Hi, Amanda. Sorry to be so late responding. I think using white rice is fine, especially since it cooks faster than brown rice. I just substituted brown because it’s healthier! Good luck! How many servings does this recipe make? Wondering if I need to double it as I’m looking to feed a big group at work? Hi, Wendy. 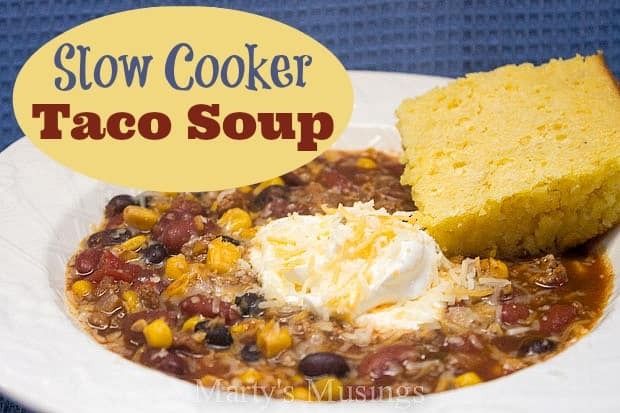 I make this in a 6 quart crock pot and it’s filled about two thirds full. I wouldn’t recommend doubling it but you could probably do 1 1/2 times the recipe. It does make quite a bit but it just depends on the size of the group you’re feeding. Good luck!